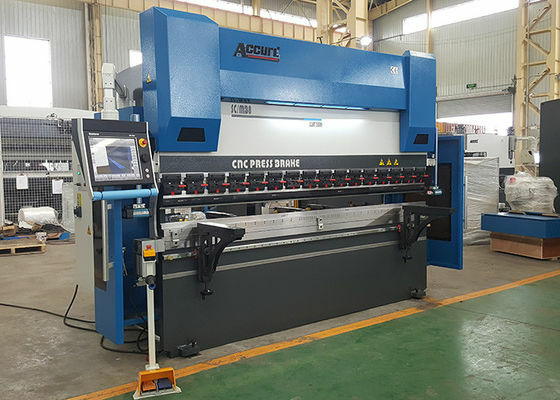 ACCURL® SMART-FAB B Series CNC Press Brakes Bending Machine are perfect for forming small parts with low operating costs and with syncro CNC three axis control capability they perform just like our bigger CNC Press Brakes for Sale. 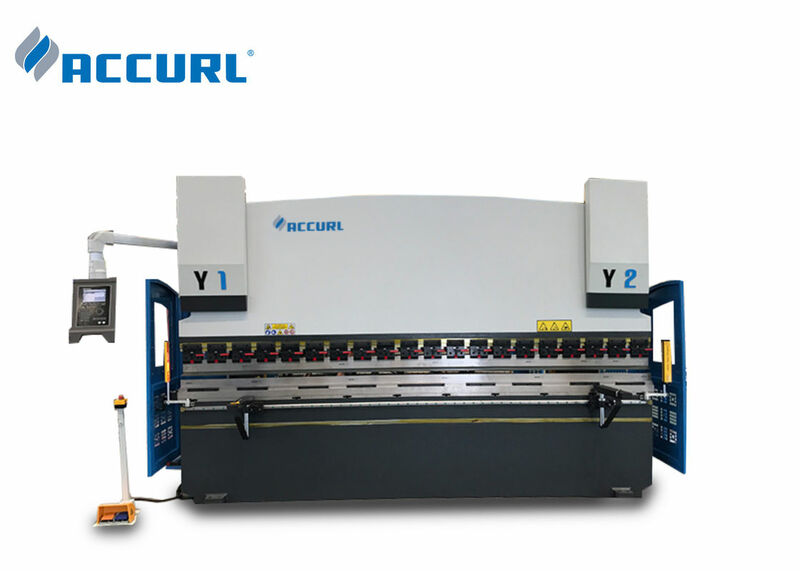 ACCURL® SMART-FAB Series CNC Press Brake Machine allow you to have more production capacity and prevent time loss on production. 1. Chrome coated cylinders are machined with 0,001 mm precision and pistons are specially hardened. 2. Original clamps are user friendly and machined with high precision. 3. Front support arms are slideable along machine length and easy to adjust. 4. Compact and well-known brand Bosch-Rexroth hydraulics are produced according to CE standards. 5. Two photocells on sides for rear guard. 7. Optic linear scales are sensitive up to ± 0,01 mm. 8. Synchronized working cylinders will give you the best bending result with its perfect repeatability ratio. 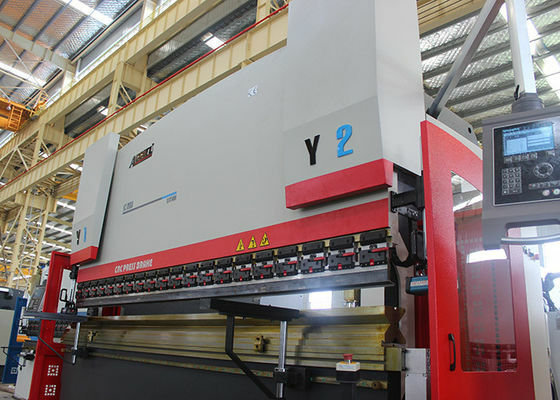 10. by CNC controller, foldable back gauge fingers for reverse bending applications. 11. 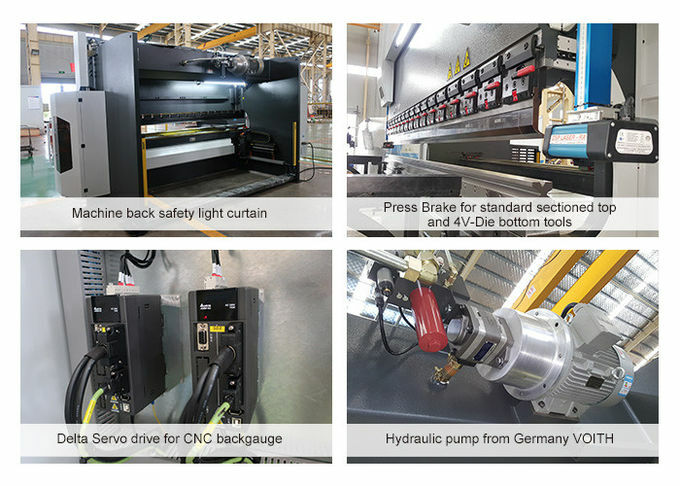 Multifunctional and highly programmable, DELEM DA52S CNC controller. 13. Automatic axis referencing when machine is turned on. 14. Side guard is standard meeting CE regulations. 1. Height adjustable and movable sliding front support arms. 2. 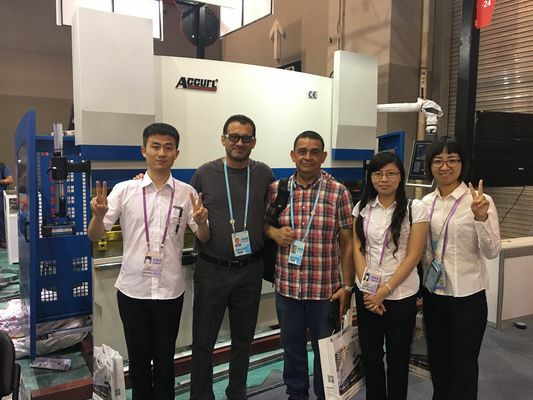 DELEM DA52s CNC controller with PC-Profile-T software. 3. Promecam easy clamping system. 4. 410 mm throat depth. -Y1, Y2 precision ram positioning. -X precision servo-driven back gauge. -Manually adjustable R, Z1, Z2-axis. 8. Top and bottom tools are surface hardened by special treatment. 10. Foot pedal is produced according to CE standards and suitable for single and multiple bends. 11. 2 photocells are placed facing each other for rear guards. 12. Preadjusted electrical requirements based on customer’s geographical area. 13. Electrical panel with cooling system designed to meet CE standards & composed of automation and electrical equipment with SIEMENS branding. The best bending results You can bend longer and deeper parts with standard Euro Pro Series.